I thought I’d share my very comfy OOTD from Saturday. Since it was alittle on the chilly side here in Philly, I decided to whip out my old Primark coat. I totally forgot it was checked print- which falls right in line with the hot current trend! The detachable fur collar is my favorite feature on the coat. I was lazy this weekend, so I wanted to just be comfortable, yet “put together”. So I grabbed my faux leather-look leggings and a F21 sweater. But I can say I credit this outfit to my accessories! 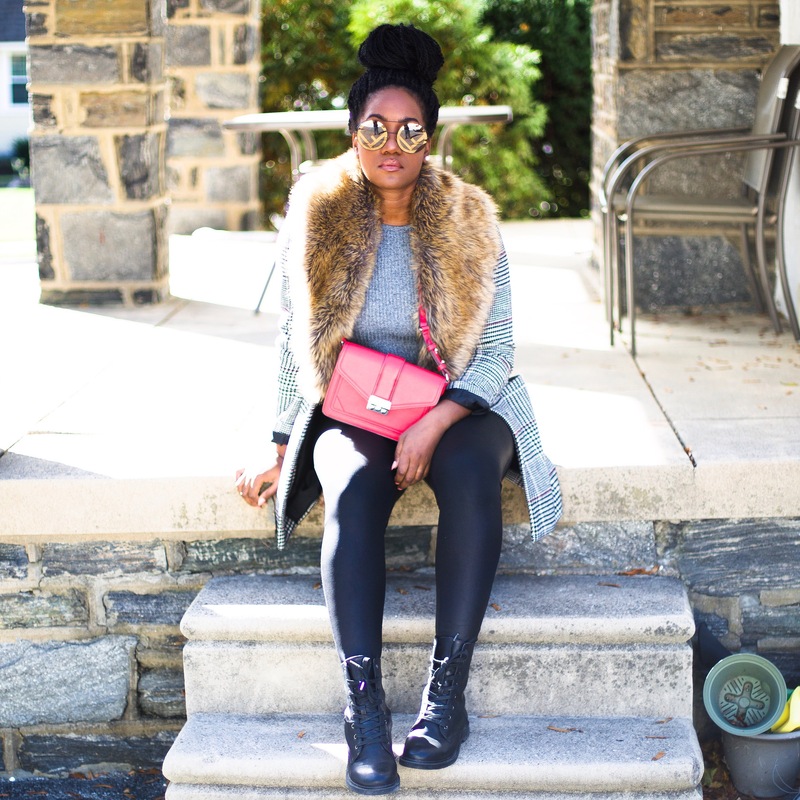 The red bag, the sunnies and boots kept it casual, yet chic. Ladies, invest…INVEST…invest in good accessories! —> Once you do, your outfits will practically make themselves. I hope you all have a wonder start to your week. I’m looking forward to my afternoon in NYC tomorrow for a special lunch date with my blogger babe Tanika of ‘Alwayzfashionablylate’! I plan to blog it …stay tuned! Love the fur collar! I’m a huge fan of the detachable collars as I just blogged about mines. It really adds so much BOOM to a simple outfit. And this primark coat is giving me life. Love the way you rock this! 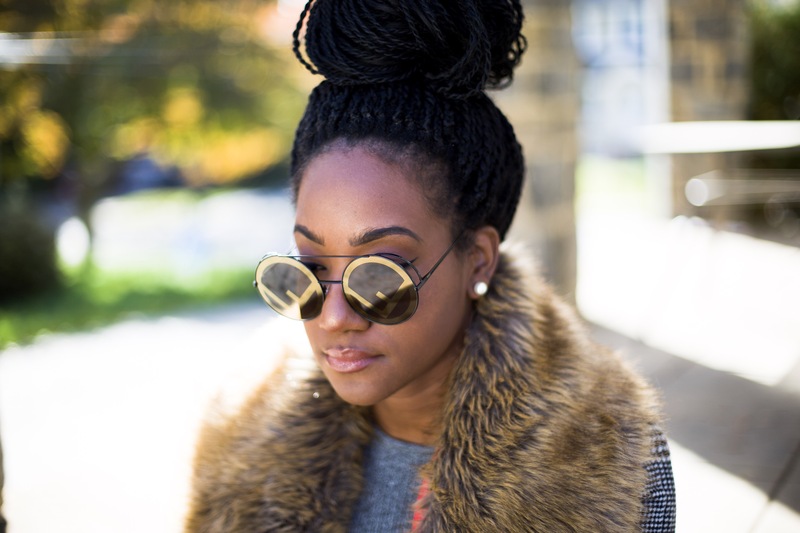 OMG this coat is everything, and now I’m adding those sunglasses to my Christmas wish list. 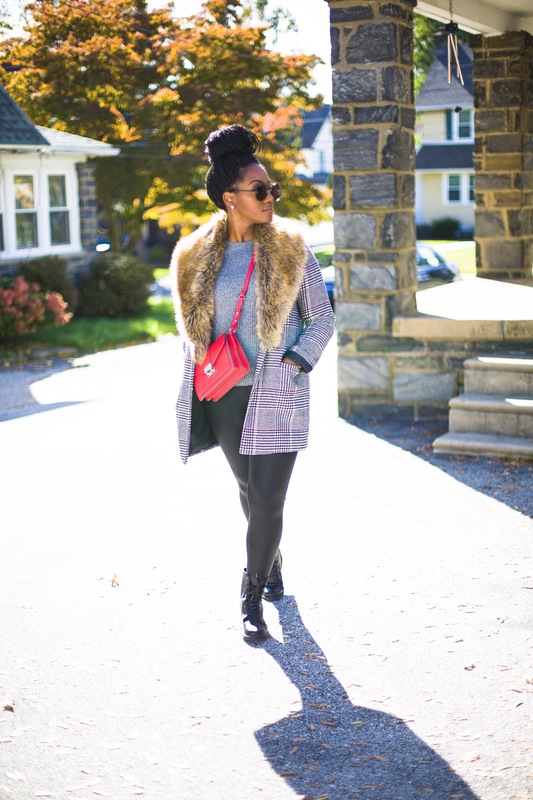 I absolutely love this coat! The fur trim is such a perfect addition to this lovely pattern.